Micromanagement—any unnecessary meddling in someone else’s responsibilities, decision-making, and span of authority—is one of the most common gripes that employees have about their managers. No manager’s participation, influence, and authority should chip value away from an employee’s work. There’s a thin line between appropriate questioning and micromanaging. What characterizes micromanaging is not whether a manager is questioning the minutiae, but whether the fine points are significant enough to be probed into and to what end the manager is probing. 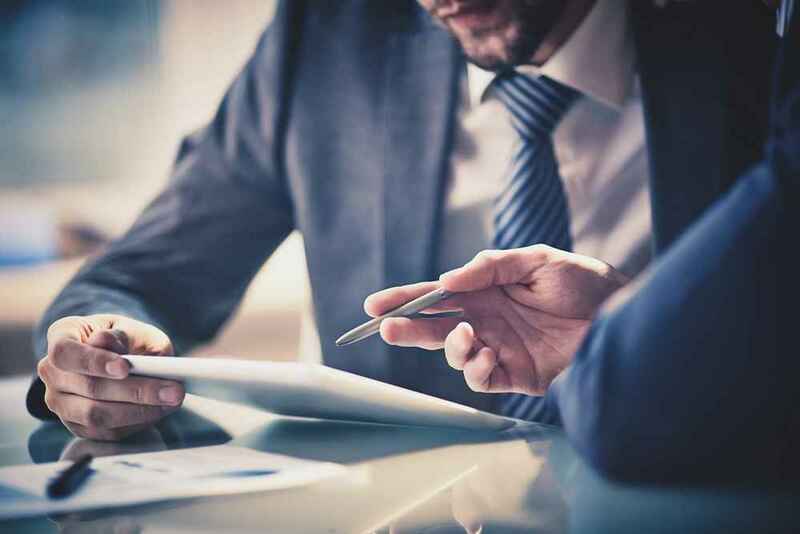 For instance, is a manager making a point of a certain inconsistent operating expense, or is the manager examining bookkeeping details that may help bring to light a bigger-level problem such as a defective accounting system? Asking questions doesn’t in and of itself signify micromanaging, as long as those questions lead to insights of some substance. If a manager hones into some trivial detail and challenges it with an intention of establishing an employee’s error, it’s reasonable to assume that the manager is micromanaging. 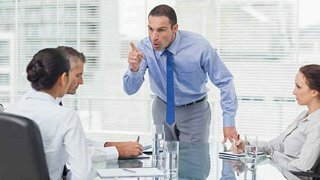 When micromanaging happens in the area of the manager’s expertise, his nitpicking is usually provoked by an egotistical need to emphasize his knowledge or experience on the subject, especially if the manager is insisting on his pet course of action. The ability to pose broad, open-ended questions (try the Socratic Method) and help an employee uncover crucial details—and to do this without creating the perception of micromanaging—is a particularly valuable managerial skill. The smartest managers I know of do away with as many unnecessary reports, reviews, and approvals as possible. They ask the right questions about the right subjects in the right tone to help refocus an employee’s attention while deferring to the employee’s decision-making prerogative. 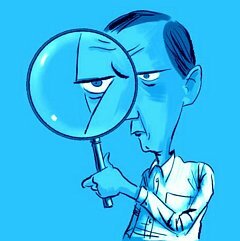 They don’t delve into the fine points of everything—they selectively micromanage only if they must. A manager’s principal task is to get things done through other people. Therefore, delegation is one of the most important skills a manager can master. In addition, being effective at delegation has benefits in many areas of life—enlisting a friend to repair a computer, or getting your kids to rearrange a bookshelf, for example. Here are a few ideas for effective delegation. Delegate every task that can be performed just as well by someone who is paid less than you are. Pick people who can accept responsibility. Match the person to the task. Remember that the person performing the task may not do it as well as you do it. Build employees’ confidence by assigning low-risk projects at first. By giving employees tasks that are right at the limit of their existing capability, or even just beyond, you can motivate them to develop their skills and knowledge. Let employees put their own spin on the assignment. Learn to have faith in the ingenuity of your employees, and give much latitude in how they do things. 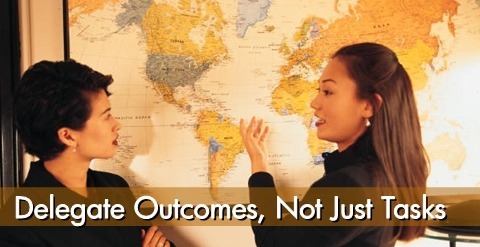 Delegate outcomes, not just tasks. Identify the precise problem and define exactly what you want your employee to do. Confirm understanding. Don’t assume that your employee understands what we mean. Have the employee restate the outcome you’ve delegated in his own words. Give a due date for the assignment. Monitor what you delegate. Don’t meddle—an overly-engaged boss can create self-induced commotion. 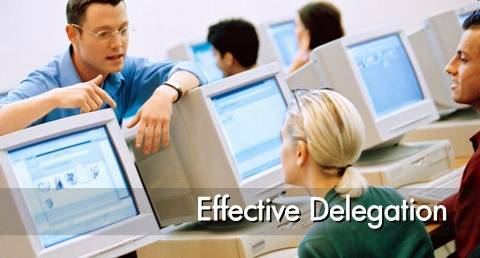 Effective managers delegate results when they can and interfere only when they must. Learn to be patient. Expect employees to make wrong decisions. Spend time with them to learn why a decision was wrong and how to avoid it the next time, rather than reproach or assign blame. By learning to delegate effectively, you can create a work environment that is more time- and skills-efficient, foster creativity and opportunities for professional growth, and focus on the importance of managerial communication. William R. Jones—“Old Captain Bill” as he was fondly called—was the General Superintendent at Andrew Carnegie‘s Edgar Thomson Steel Works, the genesis of the Carnegie steel empire. Captain Bill (1839–1889) had little formal education. He certainly didn’t understand much of the science of the steel-making. Nonetheless, he was street-smart, outgoing, forthright, and ingenuous. His workers venerated his boundless energy. With their support, he not only broke many records in steel production, but also developed an array of inventions that touched many aspects of steel-making and rail-manufacturing. The captain, I remember, used to characterize Mr. [Andrew] Carnegie as a wasp that came buzzing around to stir up everybody. One hot day in early summer, Carnegie sought out Jones in the steel factory. Idea for Impact: Meddling is not managing. While “keeping your eye on the ball” (and management by walking around) is indispensable to managerial control, an overly-engaged boss can create self-induced commotion. Effective managers delegate results when they can and interfere only when they must. Learn to have faith in the ingenuity of your employees, and give much latitude in how they do things. Ineffective time management is characterized by folks having too many things they need to do (and just a few they must do,) but not enough time for everything they want to do. The key to time management, therefore, is to identify your needs and wants in terms of their importance and match them with the time and resources available. If your time-management efforts are not getting you the results you envision, you need to pay attention to three hurdles that can get you derailed easily. 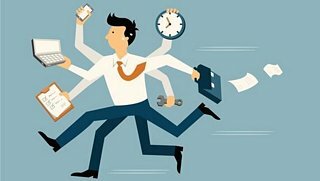 The foremost obstacle to time management is a lack of practical awareness of your job duties, as well as the extent of your authority and responsibility. Your efficiency could be acutely hindered by doing the wrong tasks—those that are relatively unimportant or not even part of your job description. You could also not be using the skills or time of others, perhaps not recognizing that you have the authority to do so. Equally important, your time management-plans often go off the rails because of “time thieves”—meetings, impromptu visitors, avoidable reports, telephone calls, delays, canceled engagements, redundant rules and regulations, and other claptrap. Idea for Impact: Develop a high level of awareness in the areas discussed above. Use my three-part technique (time logging, time analyzing, and time budgeting) to control time, conserve time, and make time. Additionally, learn to farm more work out—delegating not only frees up precious time, but also helps develop your employees’ abilities, as well as your own. Try not to say ‘yes’ to too many things and avoid taking on too much. Earlier this year, the ever-brilliant Ben Casnocha wrote an interesting essay reflecting upon his “10,000 Hours with Reid Hoffman,” the co-founder of LinkedIn and a prominent Silicon Valley investor. As Hoffman’s chief of staff for two years, Casnocha worked on strategic aspects of Hoffman’s many personal and professional projects. The two also authored “Start-up of You” (on career management) and “The Alliance” (on talent management). If you’re a manager and care seriously about speed, you’ll need to tell your people you’re willing to accept the tradeoffs [of delegation]. Reid did this with me. We agreed I was going to make judgment calls on a range of issues on his behalf without checking with him. He told me, “In order to move fast, I expect you’ll make some foot faults. I’m okay with an error rate of 10-20%—times when I would have made a different decision in a given situation—if it means you can move fast.” I felt empowered to make decisions with this ratio in mind—and it was incredibly liberating. Managers can’t do everything. They must accept that they’ll need to delegate tasks often, knowing full well—often with good reason—that employees may not do those tasks as well or as fast as they managers would themselves. To build confidence in employees’ skills in handling delegated tasks, managers can give employees a few initial low-risk tasks. As the manager gets more confident with the employee, the scope of delegated authority can expand. Nobody makes optimal decisions every time. Demanding perfection from employees is unrealistic. Clarifying expectations, negotiating limits, expecting mistakes, and establishing confidence can be incredibly relieving and empowering to both managers and employees. Here are six guidelines to delegate work to an employee who does not directly report to you. These guidelines are applicable even when you delegate to one of your employees’ employees. When requesting a routine work from an employee, copy her boss as a courtesy. Such requests must be components of the employee’s work plan or previously agreed to by her boss. When delegating special or time-consuming work to an employee, first write to her boss and request for the employee’s time. Do not go around the boss. Provide all the necessary inputs and describe what you expect, and how and when you expect results. Be specific. Ask for timely updates. If you have not gotten a response to an earlier delegation email, call or visit the person. Confirm that the employee understands your expectations. Ask for a status update. Do not “copy up” (copy the boss or, worse, HR) as a means of coercion. Work with the employee directly to resolve problems before elevating your concerns to her boss. Avoid prolonged debates or arguments over email. Problems are often easier to defuse using a more personal means of interaction. If you have difficulty in saying something via email, pick up the phone or walk up to the other and talk to her. Delegation, the art of getting things done through other people, is one of the key building blocks of effective management. Managers who cannot delegate effectively tend to lack the time for their key responsibilities and often fail to manage their team well. When managers ask a team member to do something, they usually describe the tasks in terms of specific methods/actions. Executive coach Barry Zweibel describes the pitfalls of this common approach. When we delegate tasks–that is [discuss] assignments in terms of processes or steps to take–we run the risk of people doing exactly what we say, but still not getting the job done as we hoped. But if we delegate desired outcomes–that is what we want to result from the assignment–it’s more likely that that’s what will be accomplished. Clearly, by delegating outcomes–with the authority and resources needed,–you enhance a team member’s responsibility to get the job done. By explaining the outcome of an assignment in reference to the relevant context, you broaden the team member’s perspective on the problem. This increases his/her ability to absorb the assignment and be an integral part of the outcome and the consequent achievement. Do not tell a team member what actions to take or how to complete an assignment. This approach fof micromanaging work is not empowering–it certainly limits the team member’s initiative. Give him/her an opportunity to own the assignment and work in his/her own unique way. If the team member asks for advice on what steps to take, offer a few options and allow him/her to choose the appropriate option. In general, people hate to be told what to do. Thus, providing a few options empowers the team member to explore these options further and decide on the best path by himself/herself. The key to effective delegation is to approach delegation as an offer to present to a team member, not a demand to be made. Delegating outcomes–not just tasks–helps managers skillfully present assignments to their team members and empowers them to get the job done. A small company received a complaint from its key customer. The CEO assigned this problem to Steve, the engineering team leader, and asked him to resolve the problem in two days. Steve delegated the problem to Jessica, one of his engineers. The above episode reflects poorly on Steve’s managerial skills. Steve failed to recognize that, although Jessica was responsible for fixing the problem, he was accountable for the problem and its resolution. He was answerable to the CEO; his duty was to resolve the problem through Jessica. The terms ‘responsibility’ and ‘accountability’ are near-synonyms; hence, managers tend to use them interchangeably. The distinction is subtle, nonetheless critical, as highlighted in the following table. A primary shortcoming of many managers, especially new managers, is that they do not give clear assignments—they do not explain a problem adequately and/or fail to enumerate expectations on desired outcome and timeline. After delegating a task, they assume they no longer hold ownership over the task. They thus tend to fault their employees, the ones they delegated tasks to, when a problem arises. One of the keys to effective delegation is to understand the differences between accountability and responsibility. Understand that you are still in charge of getting a delegated task completed and accomplishing the associated mission. Follow-up frequently and ensure completion. 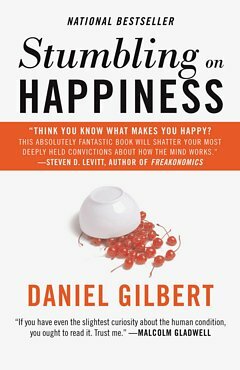 Harvard psychologist Daniel Gilbert shares factual findings that will change the way you look at the world and seek happiness and joy.